Park Quadrant – Immersive viewing in real estate, the future is here. With the construction of Park Quadrant Residences under way, Ambassador Group and their agents Savills required marketing materials that would reflect the traditional yet contemporary development’s prestigious, bold and modern nature. 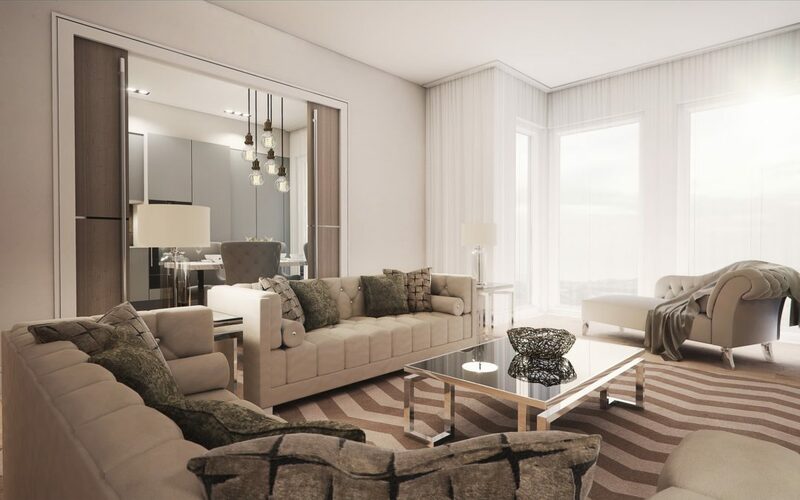 By providing sophisticated photo-realistic visuals, a promotional film, and virtual reality tour we were able to bring prospective buyers to the future of this exclusive development, immersing them in the luxury apartments before they were off the ground. With attention to detail being key, all elements from interior design to exterior lighting were taken into account to build the closest representation of the future environment, bringing the project to life – a luxury experience in real estate.